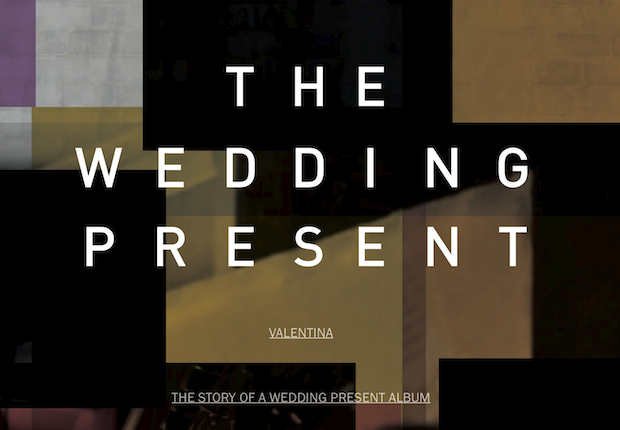 On 25 October 2012, Scopitones [in conjunction with The Friday Project and Harper Collins] released Valentina: The Story Of A Wedding Present Album. Valentina: The Story Of A Wedding Present Album is a fascinating behind-the-scenes account of the making of the band's eighth studio LP, complete with an introduction by David Gedge, lyrics, photographs and a track-by-track commentary from each member of the band. The beautiful 64-page hardback also unlocks additional digital content, including downloads of the full Valentina album, extra tracks and a 30-minute documentary film. You can order the book from this web site by clicking here.